We are instrumental in manufacturing and supplying a quality range of Monel Industrial Fastener. We offer to our clients Industrial Metal Fasteners, fabricated using high-grade metal procured from the reliable vendors of the market. These are available in different sizes and can also be customized according to the instructions and specifications of our clients. 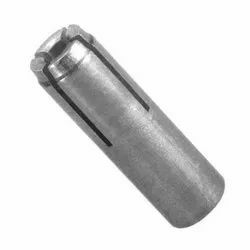 Being a customer oriented organization, we are deeply engaged in offering a wide array of Lift Fasteners. We offer Self Drilling Fastner. Banking on our enriched industry experience, we are engaged in offering a huge gamut of fasteners. Manufacturer & exporter of fasteners. Our product range also comprises of wiring products, cable marker / ferrules and spiral wrapping band. WE HAVE ALL KIND OF INDUSTRIAL PRODUCTS AVAIABLE PLEASE SEND YOUR INQUIRY TO US ON SPATEL132@YAHOO.COM OR CALL US ON 9898408141 , 9924745912. Each & every paramters are stigently followed as per ISO Norms. The Alligator Staple Fastener is ideal for a wide variety of light- and medium-duty fastener applications. Based on new techniques and modern machines, we are involved in offering a wide range of Anchor Fastener to meet the demands of our clients. Our range is easy to use. 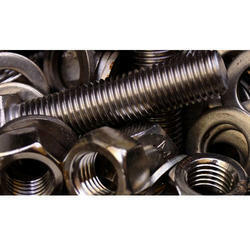 Anchor Fastener is corrosion and scratch resistant and ensures long lasting service life. We are offering our range at market-leading rates. These are manufacture as per the specifications. Product: Chemical Anchor is a composite anchor system for cracked concrete.